I knew I would fit in at vitruvi when I found out that there were multiple office dogs (in fact, the last slide of my orientation presentation was all about said furry friends). Little did the team know that before joining the company, I had already purchased this calendar from The Gourmand, which features original photographs of adorable dogs with food-related names (thus combining two of my favourite things). Anyway, dog accessories—be they leashes, collars, or beds—have traditionally been rather lacklustre in aesthetic. But thanks to some thoughtful design-forward companies, our beautiful lives don’t have to stop with our pets. And while I don’t currently have a dog myself, if I did, I would get her some of these. 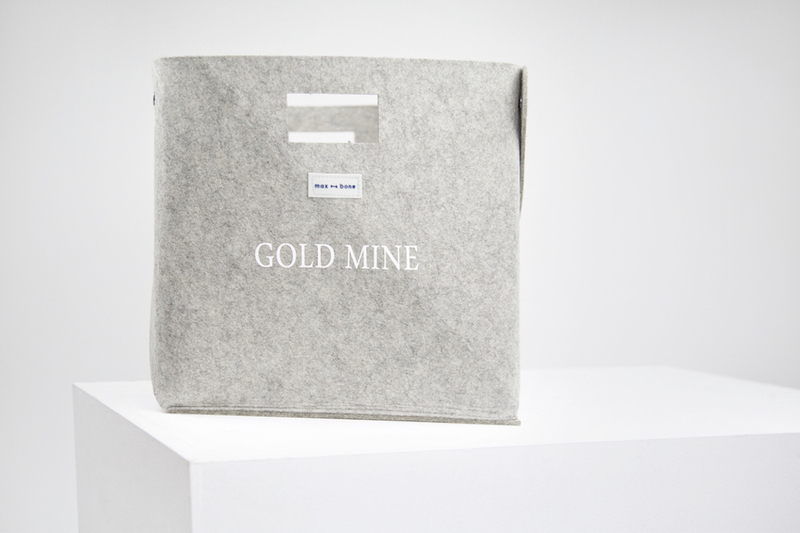 Brent Freedman and Robin McMillan created the Gimli collection in honour of their welsh terrier of the same name. 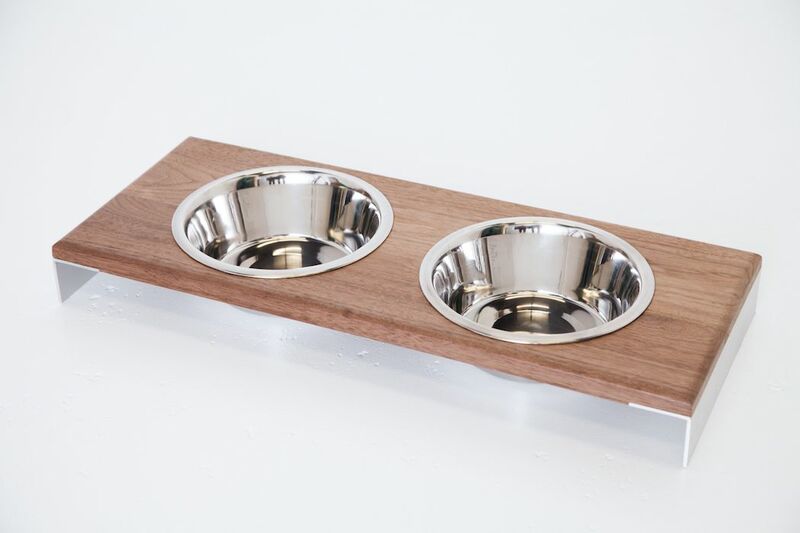 As part of the larger Gamla design studio based in Vancouver, Gimli is a functional intentional yet whimsical offering, including the For Gimli Dog Feeder: aluminum legs, stainless steel water and food dishes, and a sustainably-harvested wood (either black walnut or eastern maple) tray. Made with 100 per cent natural protective finishes, the Gimli feeder makes meal time even more enjoyable. 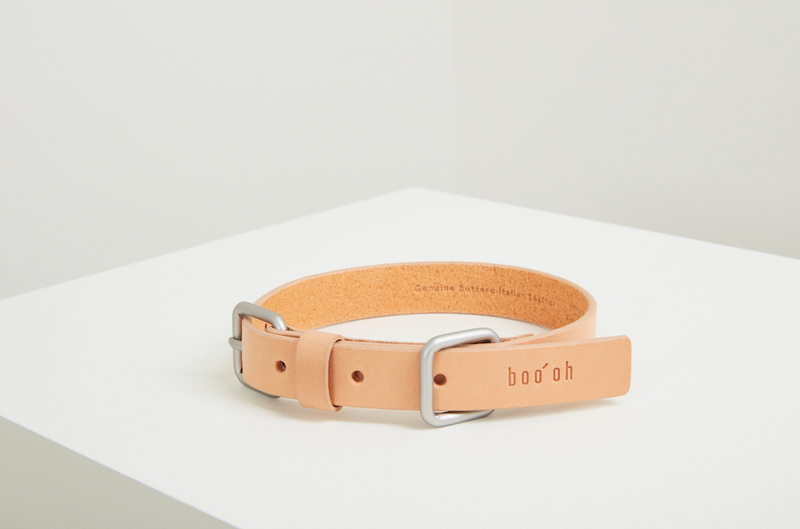 This chic collar, from Seattle-based brand Boo Oh, is handmade using premium, vegetable-tanned Italian leather. Paired with satin metal buckles, the leather (available in either black or tan) stands out—in a good way. Sturdy yet sophisticated, the whole collection is inspired by founder Jay Sae Jung Oh’s French bulldog, Boo. 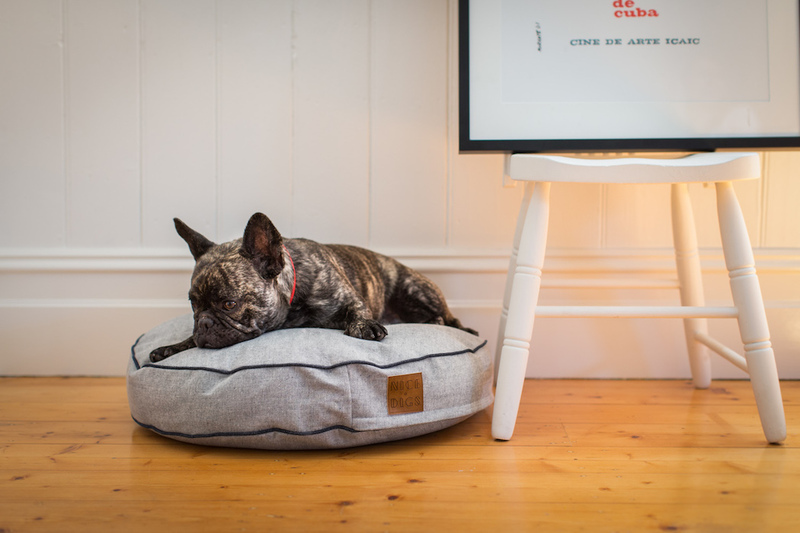 For all the denim-lovers out there, the Jean Genie Denim Dog Bed by Melbourne’s Nice Digs is sure to hit the spot. Fully made in Australia, the light grey bed fits just about any living room aesthetic and is fully machine-washable (both the soft cover and the anti-bacterial inner cushion). A perfect place for puppy snoozes. 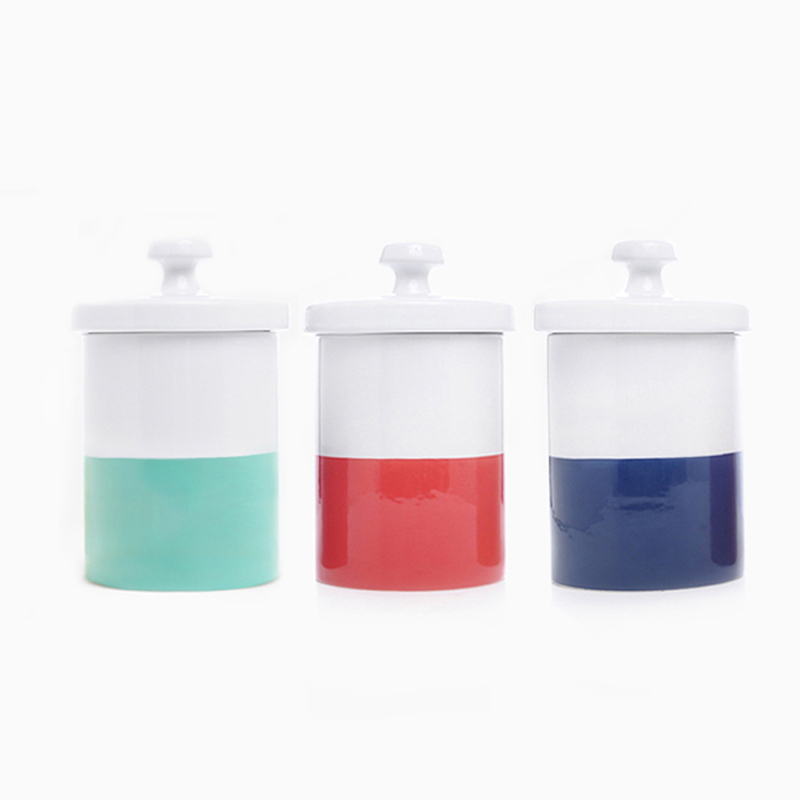 Coming in an array of pastel hues, the Dipped Color Ceramic Dog Treat jar by Brooklyn’s Waggo has a rubber seal to lock in freshness. The hand-dipped piece is so simple that it would look great on a kitchen countertop—just don’t mistake it for a human cookie jar. From Los Angeles brand Max-Bone comes this organizational essential: a basket in which to put all of doggo’s things. Playfully emblazoned with “Gold Mine” on the side, the natural grey felt basket has handles for easy movement and a simplistic, modern shape. Snaps on all sides mean that it can also be flattened for storage or travel. Like many other dog-focused companies, Max-Bone was inspired by founder Parisa Fowles-Pazdro’s own pup: a bulldog named Mackintosh. Made in the United States, the Sundance Blanket from Baldwin Park, California-based Jax & Bones is a youthful take on the tired, pilling dog throw. Machine-washable and made of premium cotton, the double-sided blanket with a soft-hued stripe pattern on the front would look great in the backseat of a car or on that armchair the dog loves so much. Life is about function, but that doesn’t mean it can’t also be about fashion.